A pilot programme is to be rolled out over the next 12 months. CHILDREN’S HOSPICE LAURALYNN is to launch a home care service, called the LauraLynn@Home programme. This announcement was made during Children’s Hospice Week, and is an “exciting new direction”, the charity said. The new service will bring the expertise and care that children currently receive at LauraLynn into the family home on a 12-month trial basis. A team of LauraLynn nurses and health care assistants will provide hands-on care in the home – including respite, transitional, crisis and end-of-life care. HSE Dublin Mid-Leinster: Kildare, Wicklow, Westmeath, Laois, Offaly, Longford, South County Dublin. LauraLynn estimates that approximately 50 families will avail of this service during the trial period. The pilot project will run for one year and it is estimated it will cost €800,000. All of the money for this additional service has come from publicly donated funds, with the majority of this coming from the recent Half Million Half Marathon event organised by Ray D’Arcy and Today FM. Julie Ling, Head of Strategic Development at LauraLynn, said that international evidence suggests that the majority of parents, where possible, “wish to care for their child at home with the appropriate supports”. It is our hope and belief that this new service will eventually bridge the gap for hundreds of families who require the support of LauraLynn but who want to have their child at home. 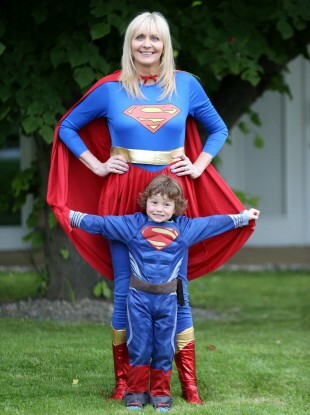 LauraLynn is the only children’s hospice in Ireland. An evaluation of the project will be conducted by UCD, which LauraLynn said “will ensure that services are meeting the needs of the child and family and provided in the most appropriate format and structure”. It is hoped that it can be rolled out to other areas of the country on a phased basis, following review. In order to be eligible for the LauraLynn@Home pilot project, children must meet the standard admission criteria for the hospice. This information can be found on lauralynn.ie, or email home@lauralynn.ie for further information. Email “Children's hospice LauraLynn to begin providing home care ”. Feedback on “Children's hospice LauraLynn to begin providing home care ”.